Mother's Day is one of those occasions when I want to say Thank You to my own Mum for everything she does for us. Always available for a spot of babysitting, helping me out when the girls club pick ups clash, baking tasty treats among other things and just generally being the best and most thoughtful Mum and Nanny. We have a bit of a tradition, my mum and I, rather than buying expensive gifts I usually take her out for a treat, yummy coffee and cake somewhere nice and a bit of child-free adult mother and daughter conversation and on the day the Little Ones help me to chose something for her along the lines of flowers, chocolates and wine. My mum loves a lovely bunch of flowers and isn't one to buy them for herself so she always appreciates a bouquet chosen by the children. She (along with Daddy) quite likes a glass of red and over the years they have found one or two yummy favourites so we will usually try something new and surprise her with a bottle of red and some chocolates, well who can resist those! This year GiftsOnline4U got in touch with me and asked if I would like to review their personalised alcohol gifts, I had a look and instantly knew what would make Mother's Day that little bit extra special for my mum this year. I chose the Personalised wine with a floral heart label (£19.99), what better way to surprise her than with a bottle of red with a label just for her. The label comes with thoughtful 'Happy Mother's Day' and 'I love you' wording with a heart shaped design made from tiny pink and green flowers. I was able to personalise the bottom part of the label with four lines of text and chose from one of thirteen different red, white and rose wines (two cost extra). There was also the option to add a greetings card or gift wrap too. I also spotted the Personalised champagne flutes for only £18.99, I liked this idea as something different and that it also went with the bottle of wine. I chose the Mother's Day themed one that came pre designed with the 'I 💛 my mum' at the top and then I was able to choose the style of the text and up to three lines of 20 characters for personalisation underneath. It comes in a card box to aid wrapping but you can also add a luxe gift bag and tag or greetings card too. 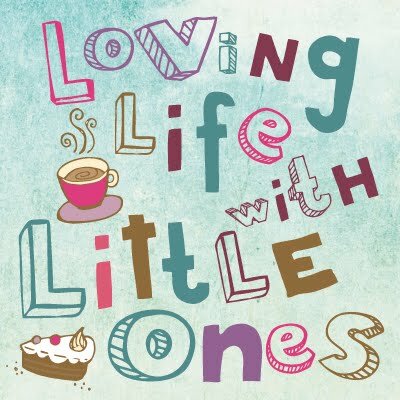 GiftsOnline4U sells all sorts of things, there are plenty of Mother's Day gifts on there right now as well as lots of other lovely things to suit all types of occasion and budget too. It was really easy to navigate around the site and to place my order as well as and see what the personalisation I wanted would look like on the product. GiftsOnline4U offers Free standard delivery across the website (or the option to upgrade to next day for £5 if you need your gift super quick) and the items arrived in a few days, well packaged and were of a great quality too. Mother's Day is on Sunday the 11th of March this year and so you haven't got long to get a gift for that ever so special lady. GiftsOnline4U gifted us our Mother's Day gifts for the purpose of review.